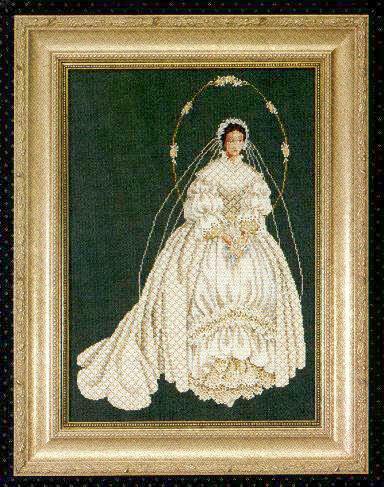 This Victorian bride is dressed in a cream white gown edged with lace and beads. She is surrounded by a garland of flowers. This design includes African-American skin colors. Stitched on 32 count Evergreen or Barnwood Linen (2 over 2) from Wichelt. 10 5/8" x 15 1/3"